If you haven't read Meghan's post from yesterday with a list of graphic novels you must have on your shelf, do that now. She recommends two of my favorites, Saga and Rat Queens, and now I have more to check out. With the exception of Lumberjanes, the series on that list are a bit too old for the kiddos, so today I have a few that you can share with the young readers in your life. I just discovered Princeless and devoured both volumes. 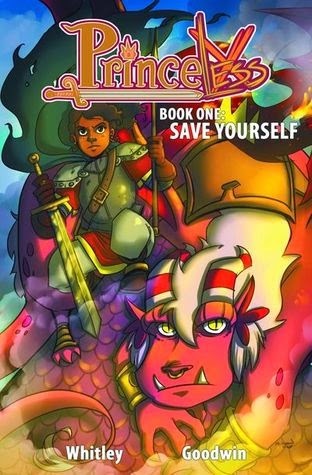 Princess Adrienne is tired of waiting in a tower to be rescued and decides to rescue not only herself, but her sisters as well. Of course, she's going to need some armour, leading her to a blacksmith with a warrior princess collection and a discussion that reminded me of the girlchild's epic rant about metal bikinis (she went on for 20 minutes about how ineffective it was and stupid - and I didn't even initiate the convo). The misogyny, mainly in the form of Adrienne's father, is pretty heavy (makes you wonder if he can be redeemed at all), but it was fun to see Adrienne blast through sexist stereotypes. 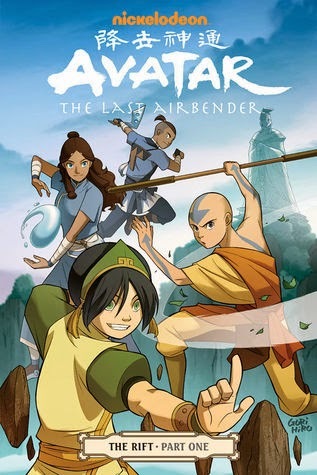 ATLA is an epically fantastic series that continues the story first started on the screen in graphic novels. We've seen the beginning of Republic City, gone on a search for Zuko's mom, and now there is a new adventure with THE RIFT. Phenomenal characters and ever evolving relationships set in a world still recovering from war, if you haven't discovered Aang & co, you should fix that immediately. Kazu Kibuishi has edited a fantastic collection of shorts that range from the creepy to the silly. The girchild devoured this one faster than I did. My favorite in the creepy Under the Floorboards, but all are fun. 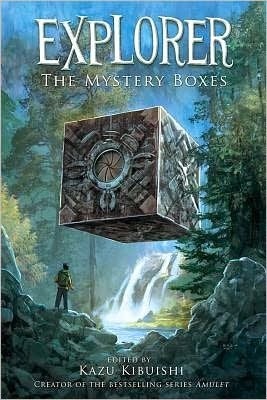 There are several more by Kibuishi that we plan on reading this summer, but The Mystery Boxes is a good start. Have you checked out the Zita the Spacegirl graphic novels? I highly recommend them! The artwork is gorgeous and the story and characters are fun!